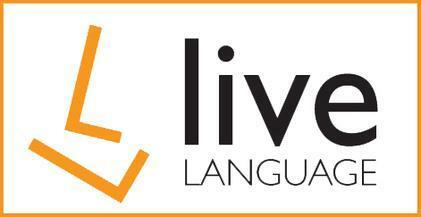 À propos Live Language Ltd.
Live Language language school offers quality English courses to help you succeed. We expect and demand high level of performance from our staff and students. We support students from beginners level and support their academic journey right through to university preparation courses and university entry. Our school is conveniently located in a safe and quiet area of the city - Charing Cross – which is close to the University of Glasgow and a 10 minute walk to the vibrant West End and the City Centre. Our classes are held in buildings which are architecturally and historically important. Glasgow is known as‘The Friendly City’ and is loved for its culture, museums, music, nightlife and shopping, but most of all for it’s people. If you travel for 45 minutes east you reach Edinburgh, if you travel 45 minutes west, you reach The Highlands. Glasgow, reported as the UK’s safest city, is easy to get around by foot, bus, train or subway. Live Language is one of the leading language schools in the UK and it receives students from all over the world, 52 countries at the last count, so our classes have a good mix of nationalities. We keep our class sizes small so teacher-student contact is maximised. Our lessons are designed to be communicative and interactive so your confidence in using the language in real situations grows. We don’t believe in lecture style lessons. We pride ourselves in having a professional and friendly team of qualified teachers and support staff who offer a prompt and professional service – essential ingredients for building good relationships. Students, businesses and agents have been pleased with the quality of service and attention they have received from Live Language. We hope that you choose to join us in the future, and can experience our excellent service for yourself. Whether its learning to deliver stunning presentations, writing monthly reports or developing working relationships with fellow staff our Business English Courses will help reduce any cultural barriers which you may be feeling. Or you may want more Listening and Speaking skills – this is our most popular summer skills class. Most people want extra conversation practice while they are here. You might want Exam English Practice so may prefer to focus on Cambridge exams or the IELTS. When you arrive at the school, you will meet the Director of Studies. She will be able to give you advice and help you choose the combination of English classes that is right for you in your intensive English course. The staff at Live Language school is really keen on making the best of your course so that you can achieve your language goals easily. You can improve your English skills in a very welcoming atmosphere. Furthermore you can meet people from all over the world and you can take part in the social programme to discover the beautiful Scotland. All in all I can just say that it is really worth it to decide for a course at the Live Language school. You won't regret it! I have taken the CAE preparation course for two months during the summer and I would say that it has been one of the best effective options to prepare my Cambridge exam. Firstly, you will receive a big range of good tips to deal with each part of the exam such as technics to improve the understanding, or practising the problematic points of each part, so that the student can gain experience in how they must be focus on their individual studying. Secondly, the teacher puts in practise a lot of useful group dynamic activities to encourage students to improve their English level in a cooperative way. In addition, teachers are very compromise with their objectives and they push their students to get the best part of themselves. In short, I have personally found the course as the ideal method to train myself in order to feel well-prepared to pass the exam successfully. However, Live Language is more than just a Language Academy, it is a space of sharing cultures throughout English, which means that you will meet a lot of people from all parts over the world. Also, thanks to the Social Program, you will have the chance to join to different activities and travel across Scotland. So, if you don’t want to miss a marvellous language learning experience in Glasgow, I would recommend you without hesitation to join Live Language family! I recommend you this Academy! I have been studying the FCE course in this Academy for 2 months and it has been the best experience of my life. The teachers are highly qualified, and they are always motivating you and making easier what it isn’t. I improved my English pretty much. I went to classes in the morning and to the activities in the afternoon where I knew lots of people with different cultures; now I have friends from all around the world. I strongly recommend Live Language. I really enjoyed my time at Live Language. It's a really good school language. I improved my English and met a lot of new friends. The teacher are really friendly. I have enormously learned and this experience represents without a doubt a great step in my professional life. The whole team and teachers are friendly and helpful. My objective was to improve my level from B1 to C1 but also to meet people from everywhere and with a different culture. From this point of view, I am really satisfied with my classroom where I met nice friends of various nationality. They were really willing to develop their English skills and supportive to each other. In addition, I am satisfied with my personal lesson too. I could achieve the level that I wanted and t vbbeachers are really willing to help us even outside the classroom, for instance we can email them pieces of writing. I have been studying at Live Language school since the middle of August 2016. I took few hours of English club, one week General English and now I am doing CAE exam preparation. I really enjoy studying here – teachers are friendly and professional, classes are interesting and useful with focusing on speaking, writing, listening, reading and working with other students to improve our English. I really recommend this school. My English is still improving. Now, I am thinking of taking up Spanish course as well. I have been studying at Live Language school twice in 2015 and 2016. I really loved everything there! First of all I would like to mention that it was a unique experience of the full immersion in the language environment and everything what school offered I tried to follow every time! The teachers gave an exceptional knowledge for such a short period of time and Im feeling sincerely thankful to them! In addition, I made a lot of friends at school with people from all over the world. What was also important - I fall in love with Scotland - with Glasgow in particular. I believe that its the best possible place to study and relax at the same time because the atmosphere is special here. I highly recommend to come at Live Language school! Live Language is a fantastic school. The atmosphere is very friendly. Everybody is willing to help you with any kind of problem. They always organise events with native speakers, which I found very useful for my skills and my comprehension. It is the best school where you can study a language, but also make friends.